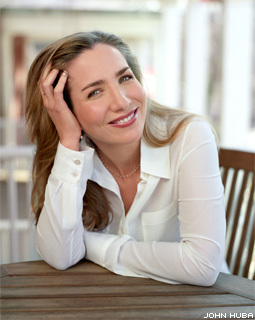 Laura Hillenbrand was born in Fairfax, Virginia. She attended Kenyon College in Ohio and planned to major in Psychology. Ironically, when taking a creative writing course, one of her professors wrote her a note on the back of her essay telling her “You should be a writer.” While a student at Kenyon, Laura was diagnosed with Chronic Fatigue Syndrome and was forced to drop out of school. Because of this condition, she rarely leaves her Washington, D.C. home where she lives with her husband who is a professor at American University. Hillenbrand is the author of Seabiscuit: An American Legend which won numerous awards and was made into a movie starring Jeff Bridges. The movie was nominated for seven Academy Awards. According to Laura Hillenbrand it took seven years, working seven days a week to write Unbroken. Earlier this year Universal Pictures acquired screen rights to Unbroken. To learn a little more about Laura and her illness, check out this short story which appeared in The New Yorker.